Sac-Joaquin Section will hold its sub-section CIF qualifying meet on Saturday at Angels Camp, Frogtown, running the 3-mile course there. The top 10 teams and 10 individuals in the varsity races will advance to the CIF-SJS Championships on Nov. 10 at Willow Hill in Folsom. Lower level races advance six teams and 10 individuals. 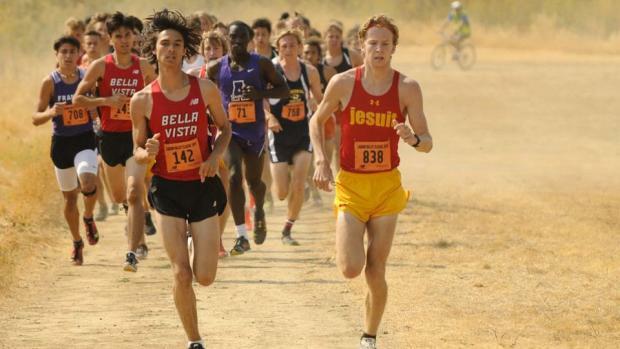 On the following pages, you will find 3-mile rankings for boys and girls by division. The top 10 is noted with links below each chart to complete lists of all runners with a 3-mile times this season. Photos by DeAnna Turner, James Leach and Jeffrey Parenti.